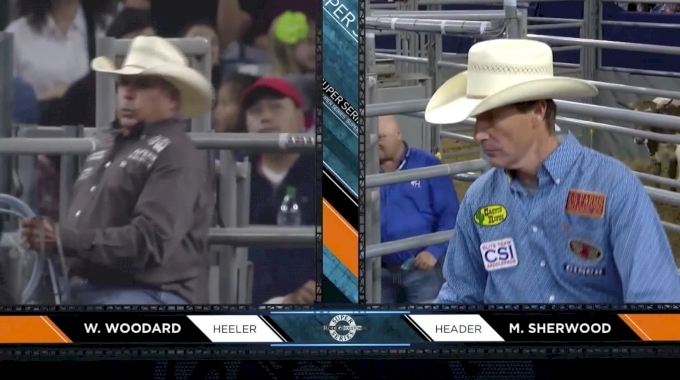 World champion Matt Sherwood is back in the semifinals of the Houston Rodeo to defend his 2018 title - this time with a different partner. Sherwood won the event last year with veteran Walt Woodard, and this year he's competing with relative newbie (three years a professional) Tyler Worley. The pair compete in the first day of the semifinals tonight at NRG Stadium.